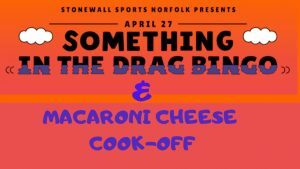 Catch Stonewall Drag Bingo the 4th Saturday of every month to benefit ForKids and the Transgender Assistance Program of VA! 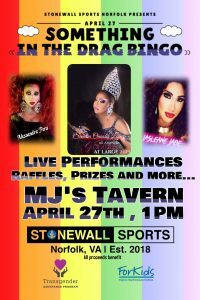 Hosted by Coastal Virginia's premier drag sensation, Sandra Lopez! Games, prizes, and FUN! Open to all- bring your family! See you there!